Aging can cause us to feel invisible and unwanted in a society that worships youth. However, the key to staying youthful into your latter years doesn’t lay in the hands of your hair stylist or medical spa, but instead in your attitude. If you have Hashimoto’s hypothyroidism, a positive approach to aging will also help you better manage your autoimmune thyroid condition. Research shows internalizing negative stereotypes about aging harms your health, which speeds up aging. However, having a positive attitude toward aging can boost immune function, promote healthy behaviors, and help you feel in control of your life —- factors that can help you tame your Hashimoto’s hypothyroidism symptoms. Positive perception of aging has been shown to be more important than cholesterol, blood pressure, weight, and even exercise when it comes to improving longevity. 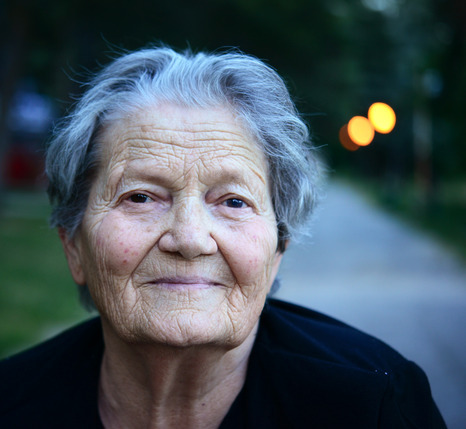 One study found positive self-perception around aging lowered the risk of aging-associated disability and preserved daily function and ability. Positive aging improves preventive behaviors such as sticking to a good diet, exercising, and following through with check-ups. Expecting to lose your memory has been shown to increase cognitive decline by up to 30 percent compared to thinking positively about your brain function. And of course, a negative perception of aging has been shown to increase the risk of heart disease. A startling find, however, was that developing a positive aging attitude can reduce the risk of heart disease by up to 80 percent. Although you might not be able to embrace aging overnight, it can be done, even in this culture. The first step is to survey your attitude about aging and what you believe old age holds in store for you: Senility and disability? Or wisdom and vitality? Beyond that, turn your attention away from a cultural philosophy that values people based on their work productivity and instead toward one that values aging as socially valuable and even a time of renaissance. These more grounded and healthy mental attitudes will help you modulate your immune system and tame Hashimoto’s hypothyroidism. A positive attitude has been shown to be vital to good health. However, it’s important to pay attention the nuts and bolts of good health, too. Regular exercise is regarded as somewhat of a magic bullet by researchers. People who exercise regularly throughout their lives age better and enjoy better brain function throughout their lives. Along with that that comes a diet low in sugars and processed carbs — chronically high blood sugar is behind many chronic diseases and brain degeneration. In fact, some researchers call Alzheimer’s disease type 3 diabetes because of the links between high blood sugar and brain degeneration. This will also help regulate the immune system in a way to manage Hashimoto’s hypothyroidism. Avoiding other inflammatory foods (besides sugar, gluten and dairy are the most common inflammatory foods) while loading up on fresh veggies is another preventive dietary approach. Gluten and dairy are typically found to be problematic in people with Hashimoto’s hypothyroidism. Lastly, healthy aging depends on a healthy, nutrient-dense diet that is rich in fresh vegetable as well as healthy fats. Ask my office for more advice on how to age in a healthy, positive way you can embrace and to better manage your Hashimoto’s hypothyroidism. NextHashimoto’s and wide awake at 3 or 4 a.m.?